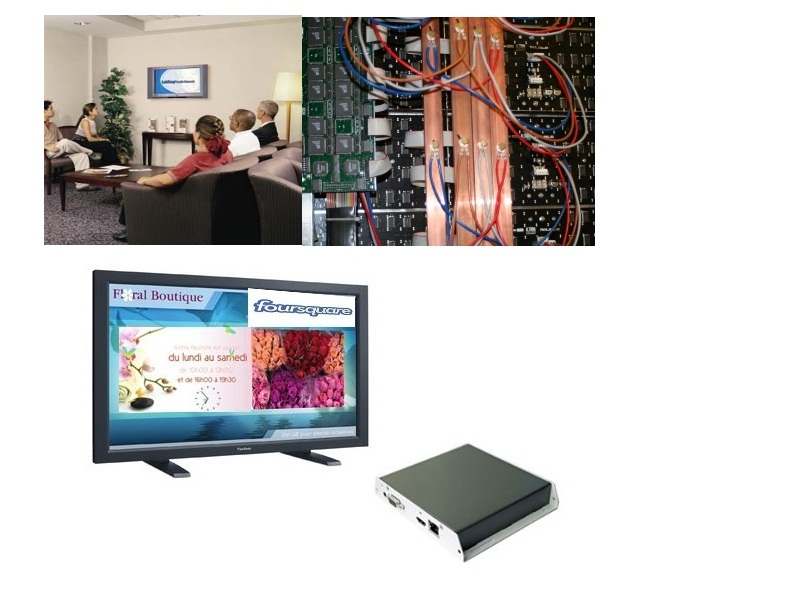 The terminology used by non- digital signage specialists (such as: indoor TVs, TVs for waiting rooms, advertising displays etc.) can be misleading at times in the sense that it describes a system by one single element: the screen. The consequence of this fact is that people tend to focus on this very tangible part only and calculate the costs accordingly, leaving aside important considerations. So, for eliminating the risks of starting a project that lacks sufficient resources it’s essential to know the not-so obvious elements and their corresponding costs right from the beginning. 1) the media players– You will need to buy those if they’re not incorporated into screen (usually digital posters have them) as they transfer the information (content) from the cloud (Internet) to your screens. You need one only if you’ve got a single digital information display or if you want to deliver the same content to all your screens. 2) the digital signage software– such as digitalsignage.NET that enables you to schedule and send content to the media players associated to your screens. You use it to upload, schedule content and organise it and send it to your screens. 3) the installation– usually completed by AV companies and other types of integrators that will set up and configure your screens. You might not need their services at all if you know where to purchase your screens and how to install them, however we find that most users do. Here’s a list of recommended companies that can provide you with complete solutions run by digitalsignage.NET. 4) the content– the information you want to communicate (from JPG’s, Twitter feeds, HD videos, Publisher files, web pages). It’s not enough to have a good technology in place; your message must be clear, relevant and eye-catching. Some of our partners (such as AuDeo) are offering content creation services, helping you avoid these 7 content errors. All these four elements imply expenses on top of the cost of your displays (screens). Make sure you plan for them correctly in advance and test the system whenever you can. This entry was posted in Hardware, Software and tagged digital signage by Dynamax. Bookmark the permalink.